This restaurant is only 2 minutes away from Tonami Station. 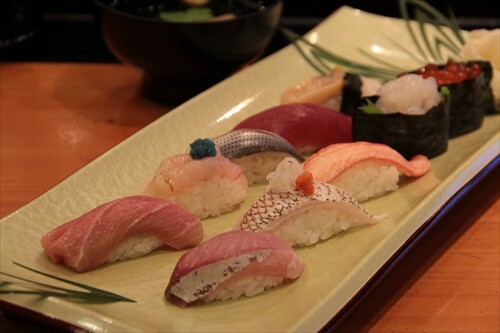 Here, you can eat seasonal dishes such as grilled fish, a la carte dishes, ayu in the summer, crab dishes and hot-pots in the winter, and of course, sushi. The sushi rice used here is 100% organic rice from Tonami.